Salt Lake City • A daughter of polygamous sect leader Warren Jeffs tells NBC News he sexually abused her when she was a child. Rachel Jeffs spoke about her life within the secretive group during a Friday appearance on "Megyn Kelly Today." The 33-year-old woman says the abuse began when she was 8 and continued until she was 16, after she wrote her father a letter about it and he responded with an apology. She left the group as an adult, after her father sent her away from her children over sins he'd accused her of committing. Other children, including son Roy Jeffs, have also accused him of sexual abuse. 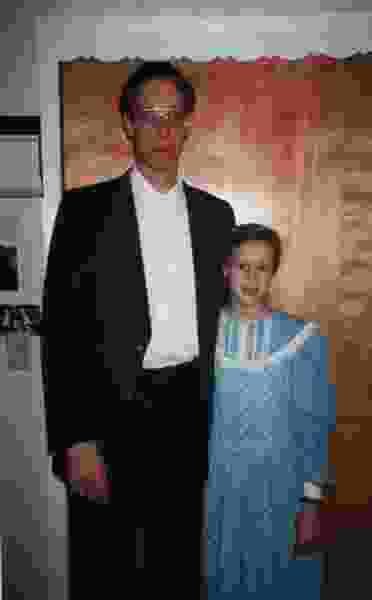 Warren Jeffs is serving a life prison sentence for assaulting girls he considered wives. He does not have a lawyer and did not respond to NBC's request for comment.